The Sculpture Club will be having their first meeting of the semester on January 20th at 7:00PM. There will be free pizza! 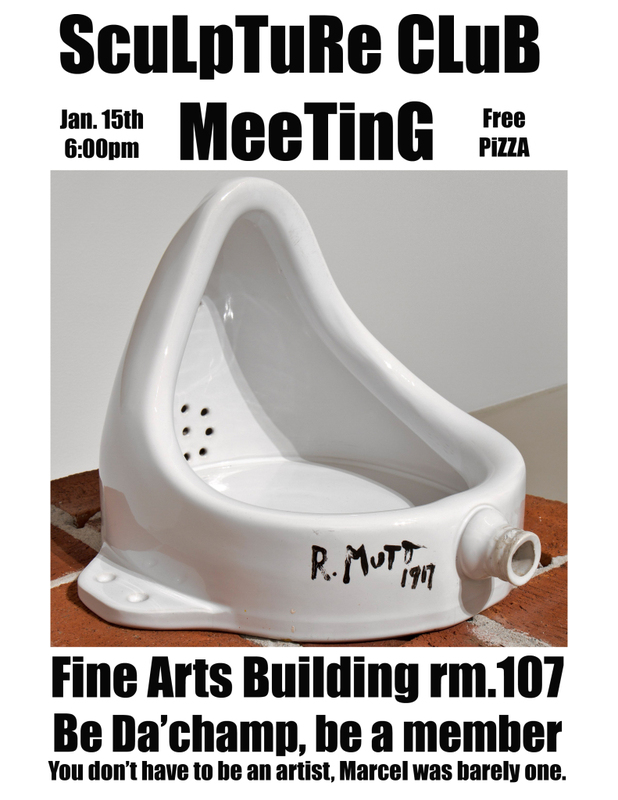 The meeting will be in room 107 at the Fine Arts Building. Be Da’champ, be a member! You don’t have to be an artist, Marcel was barely one.